We hope your child will love Little Monkey, which tells the tale of a little monkey in a big troop, in an even bigger jungle. Monkey has enough of missing out, of being too small for big adventures, so she bravely heads off all alone to climb to the top of the tallest tree in the jungle. 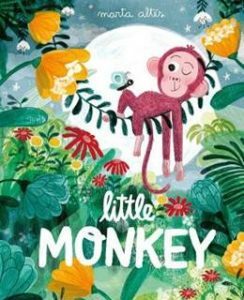 This picture book shows us that the world is a big, wild and wonderful place, where anything is possible.